SBW Melbourne furniture design house celebrate exciting new chapter in 2019. 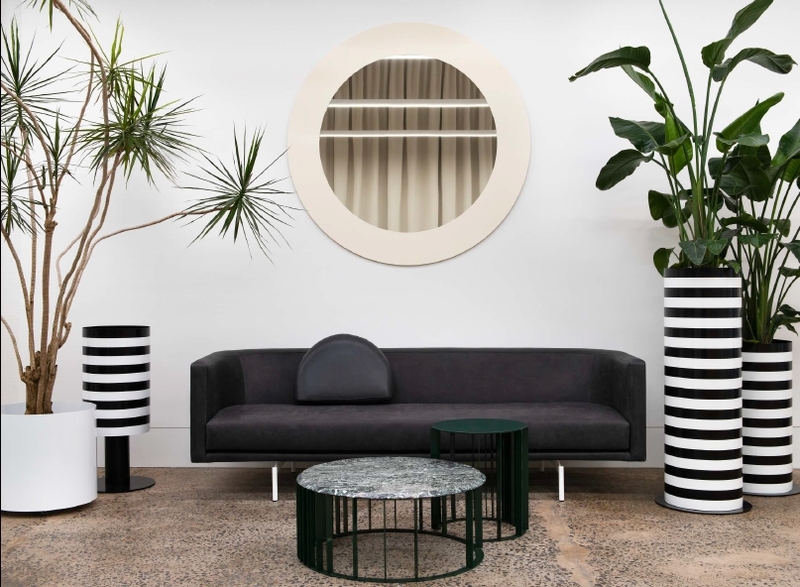 Contemporary Melbourne furniture brand, SBW (Something Beginning With), has an inspiring new showroom and headquarters in Collingwood. 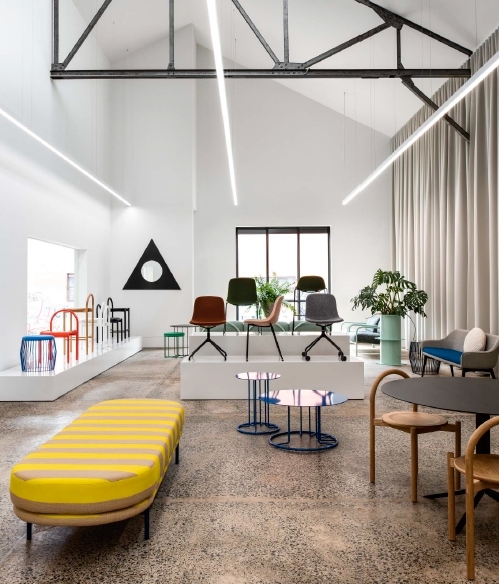 A purpose-designed showroom and design studio within the shell of a former denim washhouse now provides “the perfect space and blank canvas” for showcasing the SBW furniture collection. Having outgrown their nearby Gipps street studio, SBW undertook an extensive search to secure a larger premises in the inner north’s creative fabric, and now call 33A Rokeby Street their home. Positioned among a cluster of likeminded design and architectural companies, “the SBW interior is designed to serve as a backdrop – to let the furniture be the focus,” says Lisa Vincitorio, owner. For the visitor, the sense of journey builds from the streetcape. Original industrial roller doors completely conceal and lock down the space by night. And when uncoiled, a few steps beyond the stealth-like facade, the showroom’s grand entrance is unveiled. from the creative direction, finishes and fittings – have been meticulously designed and considered in-house by the SBW design team. Grand scale plinths are another feature that are utilised to highlight key products, with new pieces rotated weekly, “We want to ensure a sense of newness to the showroom,” explains Laelie Berzon, owner. “We have created one large space that can be manipulated to show the interplay between products and space, and how the pieces in the SBW collection work together,” says Vincitorio. A mirrored box is a clever design component, which conceals the back-of-house functions and reflects the Collingwood surrounds back into the space through the expansive glazed frontage. The warehouse’s original elements, sawtooth roof structure, windows, pulleys and trusses, hark to the suburb’s manufacturing past. 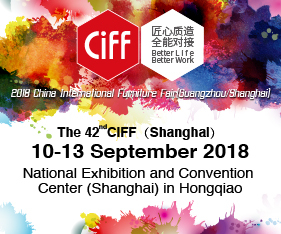 SBW furniture is designed to translate across each of the company’s three core market sectors – hospitality, commercial and residential. In approaching the design of each family, “we draw our inspiration from an ever evolving mosaic of rich and diverse influences with extensive research and travel, locally and abroad,” says Berzon. Working across complementary markets and exuding plenty of wow factor, fellow Australian brand Studio Ciao is a recent addition to the SBW offering. 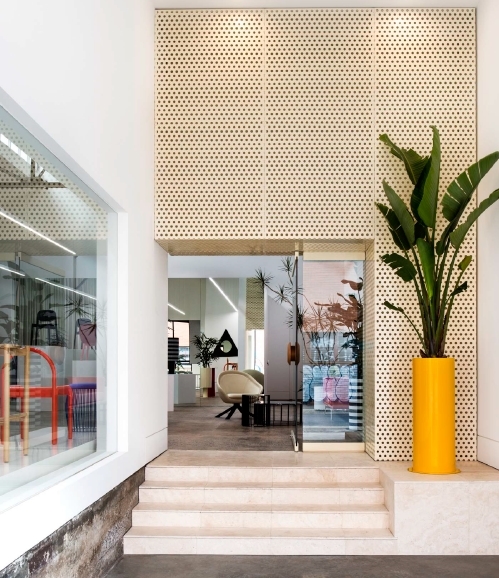 Studio Ciao’s sculptural planters and mirrors add colour and welcomed greenery to the new SBW showroom. After spending much of 2018 bedding down the “right space”, the new year will see “big plans” come to fruition. Posted in Talking Business. Bookmark the permalink. Redesign of the KPMG offices in Perth, Western Australia.